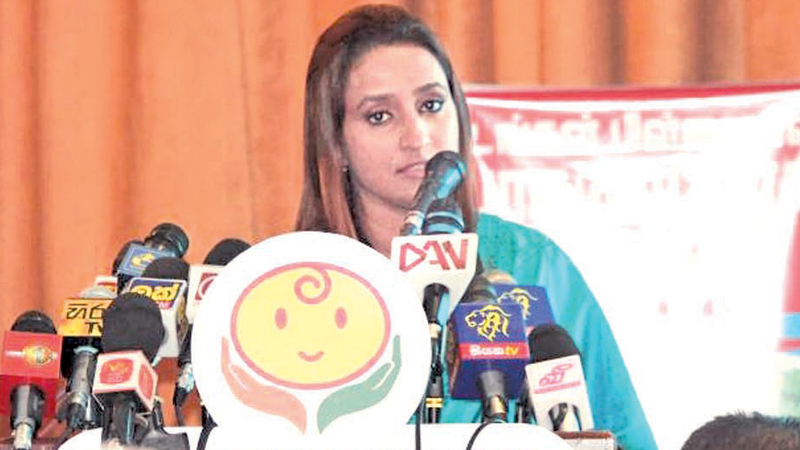 Sri Lanka College of Paediatricians (SLCP) launched the National child safety campaign ‘Safe Child Sri Lanka’ recently. The campaign exclusively focuses on raising a national-level awareness building campaign around the general initiative of protecting children from impending dangers, both intentional and non-intentional. Safe Child Sri Lanka will approach the objective from several fronts. Stimulating positive attitudinal and behavioural change among the public, building coalition between state sector, private sector and civil societies to drive the initiative and increase awareness among the general public on child safety, were presented as the three main objectives of the campaign. The initial phase of the Safe Child Sri Lanka campaign will focus on two dimensions of child safety; educating and creating a dialogue on accidental Injuries and non-accidental injuries. SLCP believes that understanding how to prevent and minimize the risk of both accidental and non-accidental injuries is the most vital aspect of ensuring a safer environment for the children. The campaign will focus on creating awareness within the two immediate environments where children are at risk, their homes and the schools. Hence, resources and attention will be initially diverted towards educating parents, teachers and members of the immediate family. This will be carried out as a process, throughout the year. SLCP has recognized that the main challenge to promoting child safety is the lack of awareness, among children, parents, extended families, the medical community and the public at large. SLCP states that in order to make a meaningful positive impact, it is important to raise awareness about child safety but in order to achieve a better response and interactions it is vital to implement strategies and guidelines that can be put into action. Against this background, SLCP has found it imperative to launch the Safe Child Sri Lanka nationwide awareness campaign with the ultimate objective of creating a safer environment for the children of Sri Lanka. The national campaign will be led by the Sri Lanka College of Paediatricians, bringing together key government ministries, departments and authorities, including the Ministry of Health and the National Child Protection Authority, paediatric clinical practitioners, others medical professionals and medical associations, civil societies, UN agencies and the private sector. However, in driving the campaign forward, Sri Lanka College of Paediatricians (SLCP) has partnered with the Ministry of Health to widen the reach of the project. The endorsement will also allow SLCP to execute the campaign with the fully-fledged support of the state sector. Following the launch, a national-level movement will be set into motion, followed by an awareness building campaigns on mainstream and digital media, island-wide seminars and workshops, special presentations at selected educational institutes, ground-level awareness building by the members of SLCP and regional-level outreach programmes.